Tottenham could be in for a busy transfer this summer. 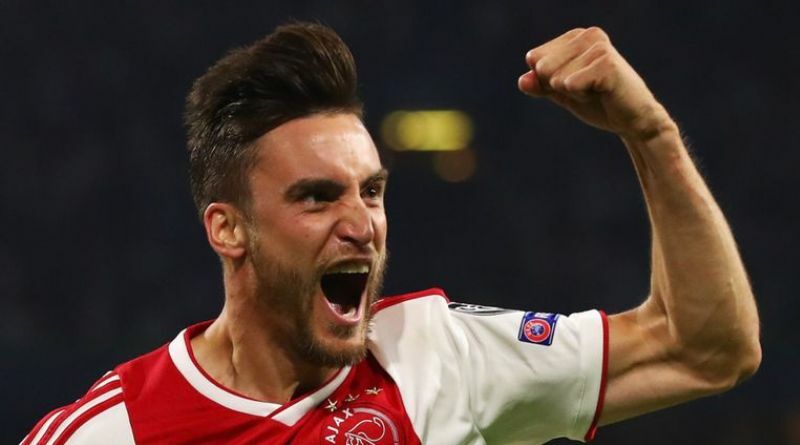 The reports in England suggested that Tottenham are considering a move for Ajax defender Nicolas Tagliafico. The 26-year-old has been subject to interest from various European clubs. The Argentina international joined Ajax from Independiente for a fee in the region of 4 million euros in January 2018. His contract expires in the summer of 2022. Tagliafico has scored 5 goals and assisted 5 more across all competitions this season. The 26-year-old is considered to be one of the best defenders in Argentina. As a member of Argentina national football team, Tagliafico won 13 caps. Nicolas Tagliafico will be high in demand this summer, with him having enjoyed a sublime season for Ajax this term. Mauricio Pochettino has always been a manager who keeps his eyes on the most talented players across the globe. He is a known admirer of the player and is reportedly keen on the idea of bringing him this summer. Tottenham are desperate to make an impact in the summer transfer window. Ajax are not in a position where they need to sell and would like to keep hold of the left-back, but offers of at least 17.5 million euros may force the club to consider a deal. The 26-year-old is certainly a player that would strengthen the current Tottenham squad and would be a good buy in the summer transfer window.